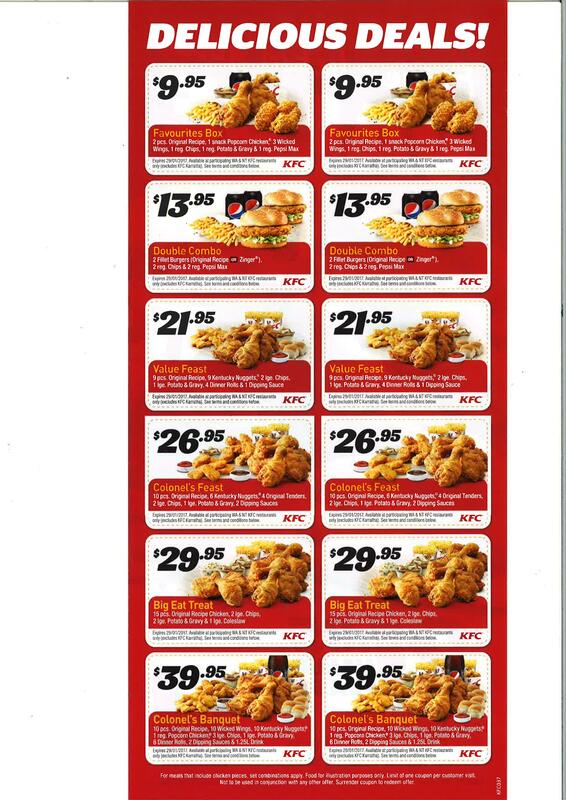 KFC have brought out brand new vouchers in WA and NT valid until 29 January 2017, and we’ve uploaded them in both PDF and JPG format for you to use! Depending on the store, these vouchers may be accepted in print outs or shown on your phone, so please confirm with your local store. Unfortunately, these vouchers are not valid in KFC Karratha. To locate your closest KFC store, click here. Credit: Thanks to nurries on Ozbargain for the original post.